Datawarehouse is primarily the depository of electronically stored data. This tool is essential to aid in reporting as well as in analyzing. Although, datawarehouse is focused on data storage, this is also used to extract and analyze data, transform, load and manipulate the data in the database or data dictionary. Thus, datawarehouse is also defined as a repository of data, business intelligence tools and tools to manage or manipulate the metadata. Datawarehouse is constantly being performed in a day-to-day basis. 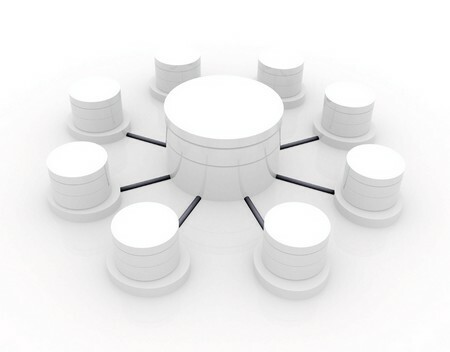 With the use of the datawarehouse, users can readily utilize the data or information, which is readily available for extraction, manipulation or storage. The structure of the datawarehouse solely depends on how the organization or company conceptualizes its datawarehouse. The structure of the datawarehouse must be in congruence to the company’s objectives and how they are going to use the warehouse. 1. Operational database layer. This layer is considered as the main data source of the warehouse, and this is considered to be the core of the datawarehouse. The organization’s EIS system falls under this layer. 2. Informational access layer. This layer consists of the business intelligence tools which are used for reporting and analyzing of significant information. 3. Database access layer. This layer is responsible for the extraction, storage and manipulation of important data within the database. This layer is the crossing point between the operational and the informational layer. 4. Metadata layer. This is also known as the “data directory”. The metadata layer is usually more specific than the operational system data directory. These are the dictionaries used in the datawarehouse which are sometimes utilized for reporting and analyzing data. The datawarehouse presents a single data model which is the one that facilitates reporting and analysis of information, and the datawarehouse redirects users to a single source, especially when the user is dealing with sales invoices, ledgers or receipts. Datawarehouse also plays a significant role in the identification as well as the resolution of inconsistencies before it is stored into the database. Information that is stored into the datawarehouse is kept safe for retrieval and manipulation for an extended period of time. Furthermore, datawarehouse also facilitates the decision-making process since this tool presents trend reports, performances as well as reports on the outcome of the goals of the company. On the contrary, datawarehouse also has several disadvantages. For one, datawarehouse is definitely expensive. For users who utilize this kind of tool, they will need ample source of money for the maintenance costs. Datawarehouse can also become outdated quickly. That is why there is the possibility that the warehouse will deliver inappropriate information. Datawarehouse also encounters problems with the operational data system. The functionality, which is at stake, can be developed in the operational data system rather in the datawarehouse. Datawarehouse is definitely useful, especially when it comes to marketing and business purposes. The warehouse is applied to data mining, web mining and decision support system.